Resin balconies allow you to bask in the sun and enjoy the feeling of being outdoors in the fresh air, even if you live in a flat and don’t own a garden. Flat residents and apartment owners in Europe regularly use their balconies to enjoy the sunshine in the privacy of their own homes – enjoying a meal al fresco, reading the paper or listening to the radio, sipping a nice beverage, and entertaining friends. Beautiful colours – Resin comes in various colours and textures that will enhance the look of your balcony and make it truly unique. Comfortable and smooth - A resin bound balcony stays cool even when sun-drenched so it won’t scorch your feet when you walk onto it barefoot. It has a smooth, even surface with no loose stones. Non-slip because of its optimum grip property, so no trip hazard. Low maintenance – Stain resistant and debris can easily be swept or vacuumed. You only need a quick power wash twice a year to keep the resin in pristine condition. 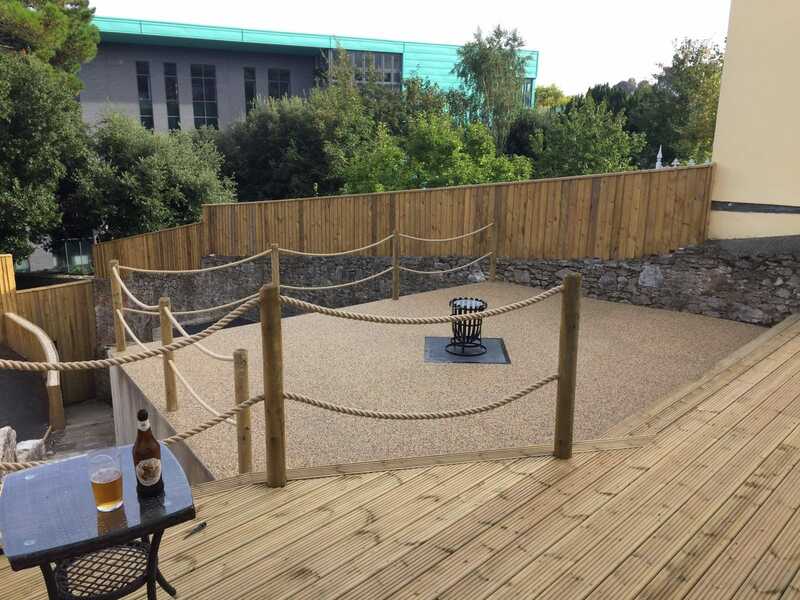 Fast installation – Resin bound balconies can be installed onto most surfaces. We design and install resin balconies and resin sun decks throughout Devon, Cornwall, Dorset and Somerset.